Trichotillomania is an obsessive, repetitive behavior classified as an impulse control disorder which involves pulling out one's hair. Hair pulling may occur in any region of the body in which hair grows but the most common sites are the scalp, eyebrows, and eyelids. Sufferers of Trichotillomania can benefit from re-pigmentation or paramedical tattooing with amazing results creating natural-looking permanent eyebrows and the illusion of eyelashes. By using paramedical tattooing, the sufferer shows less outwards signs of their disease. 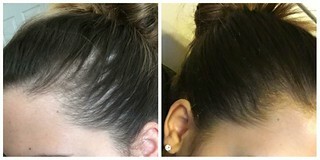 Don't Suffer Anymore, We Can Camouflage Hair Loss From Trichotillomania. Regain your confidence with a natural enhancement with natural looking permanent cosmetics.